This book proposes a new vision for modern industry. Instead of our current wasteful and polluting methods of manufacturing, we could be taking nature as a model for making things. With the right redesign, objects that have come to the end of their useful lives should provide the basis for something new. In designing and producing products we need to stop worrying about being `less bad' and start finding ways of actually being good. Find here a radical manifesto and a plan for our planet in which all waste can be put to good use. "Environmentalists too rarely apply the ecological wisdom of life to our problems. Asking how a cherry tree would design an energy efficient building is only one of the creative 'practices' that McDonough and Braungart spread, like a field of wild flowers, before their readers. This book will give you renewed hope that, indeed, 'it is darkest before the dawn'"
stimulus, opportunity, challenge and reward. Works for me." -- Stephen Bayley "Already embraced by far-thinking manufacturers and governments." * Food Ethics Magazine * "It's one of the most thought-provoking books I've ever read" -- Ellen Macarthur * Daily Express * "Environmentalists too rarely apply the ecological wisdom of life to our problems. Asking how a cherry tree would design an energy efficient building is only one of the creative 'practices' that McDonough and Braungart spread, like a field of wild flowers, before their readers. This book will give you renewed hope that, indeed, 'it is darkest before the dawn'" -- Carl Pope, Executive Director of the Sierra Club "Achieving the great economic transition to more equitable, ecologically sustainable societies requires nothing less than a design revolution - beyond today's fossilized industrialism. This enlightened and enlightening book shows us how - and indeed, that 'God is in the details.' 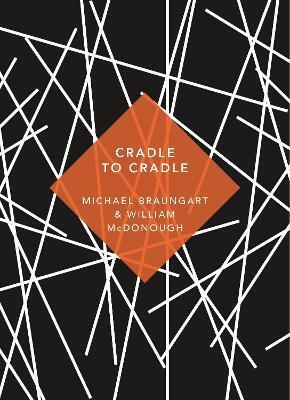 A must for every library and every concerned citizen" -- Hazel Henderson, author of "Building a Win-Win World and Beyond Globalization: Shaping a Sustainable Global Economy"
William McDonough is an architect and founding principal of William McDonough + Partners based in Virginia. In 1999, Time magazine recognised him as a 'Hero for our Planet', and in 1996 he received the Presidential Award for Sustainable Development, the highest environmental honour given by the United States.